Opened in 1873 as a public centre of recreation, education and entertainment and has had many uses. This year staff and volunteers will share insights on the past and plans for the future including talks and tours. Alexandra Palace was one of several grand leisure buildings constructed during the 19th century and is one of the few to survive to the present day. The Palace opened its doors to the public on 24 May 1873 as the “home of rational recreation and education”. Attracting over 120,000 people over the first two weeks hopes were high for its future success. Disaster struck just 16 days after opening when a fire destroyed the entire building. That afternoon the management team approved the rebuild; the second Palace opened just 2 years later on 1 May 1875. When the Theatre opened it was designed to seat 2,500 people. The architect had little experience of theatre design, consequently, the large auditorium had poor sightlines and the two shallow balconies at the rear were too far from the stage. 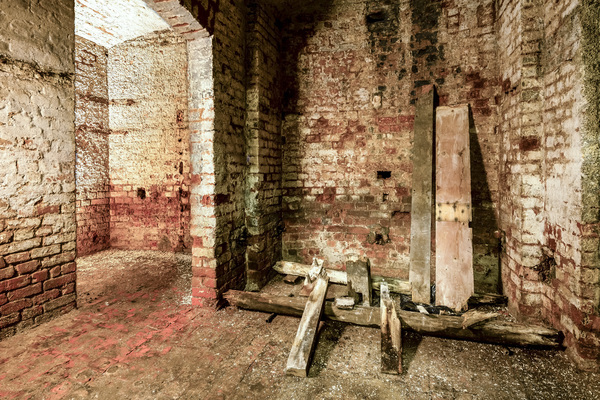 Its mechanized stage, characteristic of Victorian theatres, in its original state is the last surviving of its kind. The stage was ingeniously adapted to compensate for the design and is probably one of the earliest examples in English theatre architecture which has a facility for counterweight flying. The building was used frequently as a cinema from 1901 until the outbreak of the Great War. The projection box at the very back of the theatre is one of the earliest examples of early cinematography in London. The theatre was closed between 1914-1918 and adapted to house Belgian refugees and German internees. On the advice of the Lord Selsdon committee (1934) the BBC commenced their search for a suitable site to expand the television service. 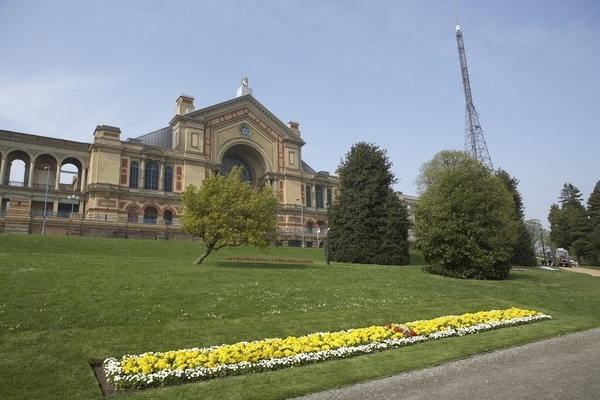 Alexandra Palace had two significant advantages over Crystal Palace and Hampstead Heath; firstly being 300 metres above sea level and secondly it had room to house two studios with different broadcasting systems (Marconi EMI and Baird). The world’s first regular high definition programme was broadcast live on 2 November 1936, which was calculated to reach 25 miles. Whilst broadcasting from the Palace television changed dramatically. Initially there were just two hours of programmes a day alternating on a weekly basis between the two studios. Following the temporary closure of television during the Second World War, technological advances meant programmes could be broadcast outside the Studio as well as the start of experimental colour television transmission. “Entertainment” moved to Lime Grove in 1954 and the two studios became a dedicated news service. This was the first time the BBC broadcast news on television. The news service outgrew the Palace in 1969 and was transferred to White City leaving the two studios empty. This coincided with the launch of Open University, the first lecture was broadcast live in black and white on 10 January 1971. It was not until March 1981 (after the second fire in July 1980) that the OU moved to its current home in Milton Keynes.